From the hottest street styles to bold makeup looks and elegant gowns, NYFW showed us at TUC Magazine the must-haves for the season. Here are the best NYFW SS19 highlights from the Walk Fashion Show and CAAFD Collective Showcase straight from the runway! The Walk Fashion Show was hosted on September 9th at The Roosevelt Hotel in Manhattan. 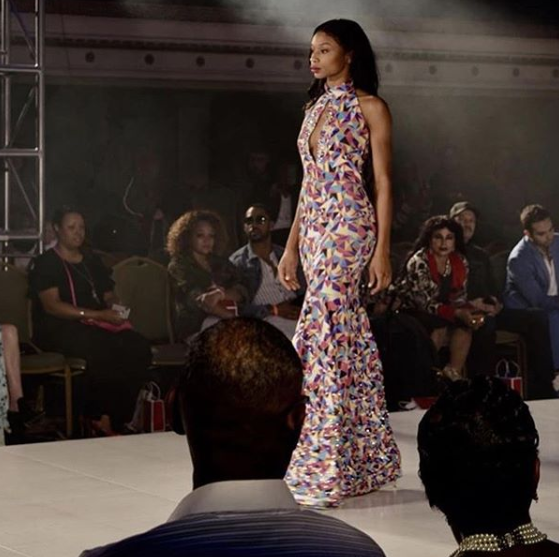 The Independent Designer Showcase featured some of the nations top indie designers, creating a runway filled with poppin’ melanin, bold bright floral prints, metallic designs and so much more. Fashion designer Khang Le, showcased his designs at Walk Fashion Show and introduced us to a wide range of high end looks mixed with unique styles. This collection was absolutely stunning, from black and gold color schemes, purple capes, and traditional Asian gowns, it’s cultural aesthetic was like no other. From floral co-ord sets to diamond details, Fashion designer Jatice Williams showcased Outclassed with tons of glam! This collection featured a range of glistening styles such as this gown, which had over 2,000 crystal beads! The Charm View Fashion collection stunned with crystal and lace gowns, glamours body confits, and a nice mix of bright and neutral shades. For the most part, the collection had a beautiful range of dresses suitable as any girl’s dream prom dress. 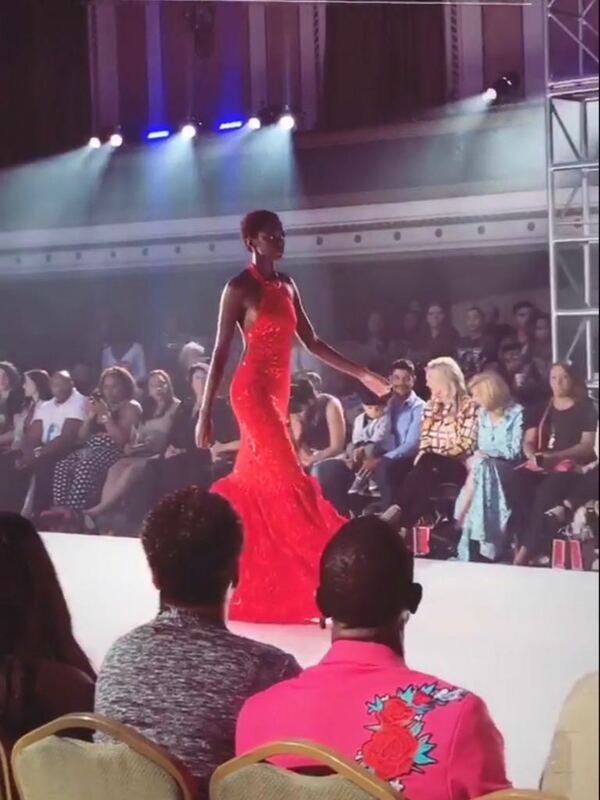 On Monday, September 10, The Council of Aspiring American Fashion Designers (CAAFD) brought aspiring fashion designers to showcase their unique designs. Over 100 people gathered at Pier 59 to witness a beautiful event, which featured a violinist, outrageous headpieces, and an overall angelic atmosphere. One of my favorites from this showcase was the Zabetta Couture collection by designer Ruth Zabetta. 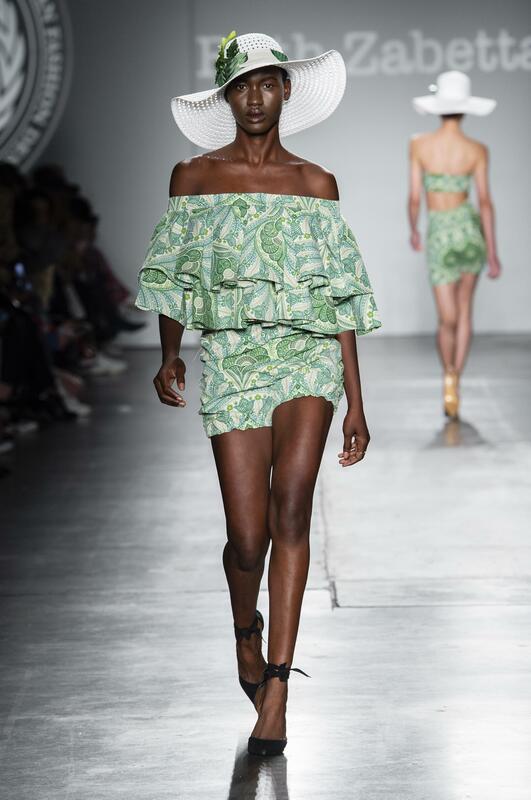 The bright green tropical prints mixed with the pop latin beats made everything come together. This collection gave ultimate summer vibes, fusing femininity, modernism, and culture in each design. The Anyi collection was introduced by a traditional Korean musician that captivated the entire room. This set the perfect atmosphere for Anyi’s magnificent pieces. 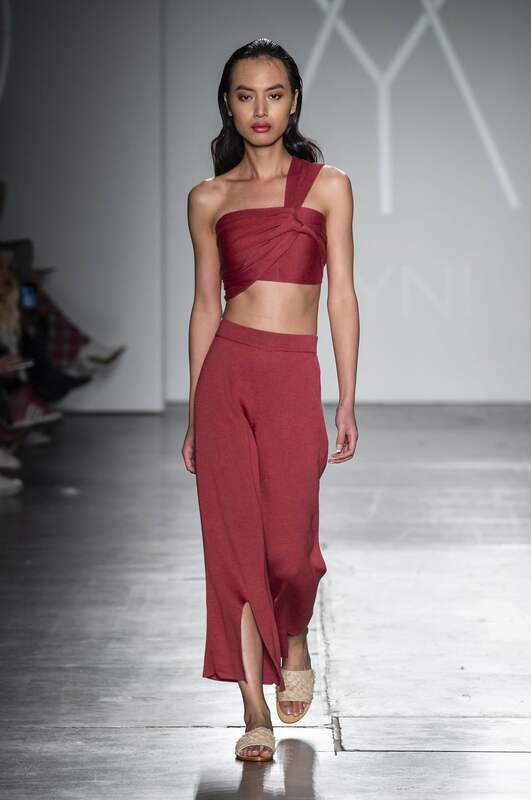 Anyi’s collection featured sheer fabrics, a blend of dark and bright colors, and swimsuit cuts. Thai designer Thunyatorn stunned the audience with her pieces, causing head turning and tons of photo snapping. 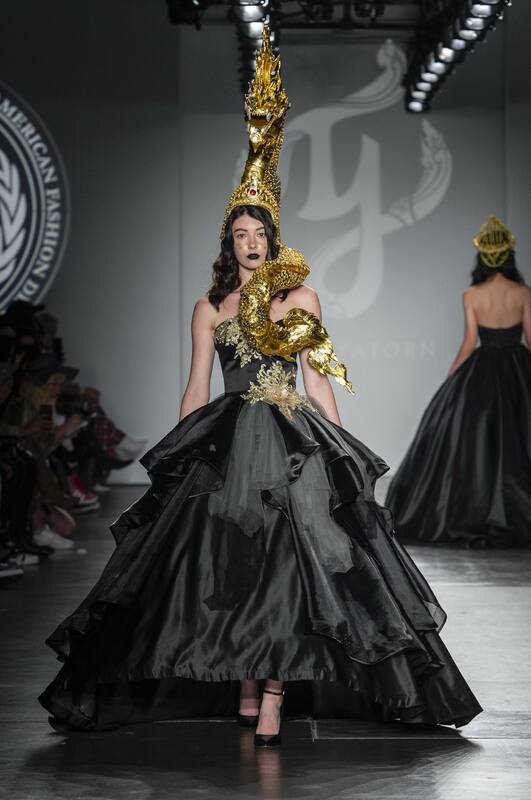 This collection featured astonishing 3D animal gold headpieces on each model. The bold and dark colored dresses made each look absolutely beautiful. Both of these shows had amazing looks that defined what NYFW is all about. From the glitz & glam to cultural designs, each designer made their collections unique adding pieces audiences have never seen before. Can’t wait for what FW 2019 NYFW has in store!